Fire pits have become an essential part of your backyard outdoor living. Gas fire pits or propane fire pits are mostly installed if the natural gas or propane is available. If not we can supply all the products needed and employing one of our licensed plumbers and electricians we can design and install your entire fire feature. 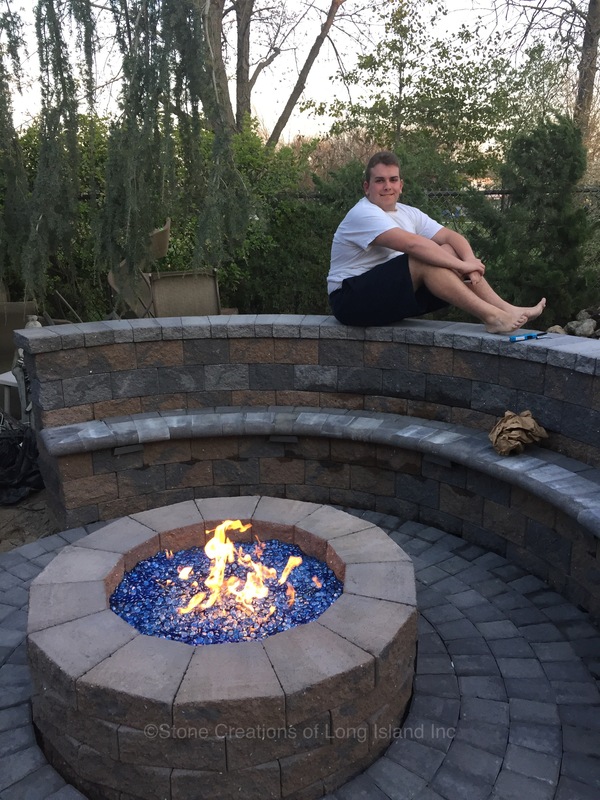 Custom fire pits are built using retaining walls or stone. Outdoor fire pit designs could also have tables or seatwalls incorporated in and or around them. Gas fire pits usually have lava rocks that cover the flames or glass pebbles. 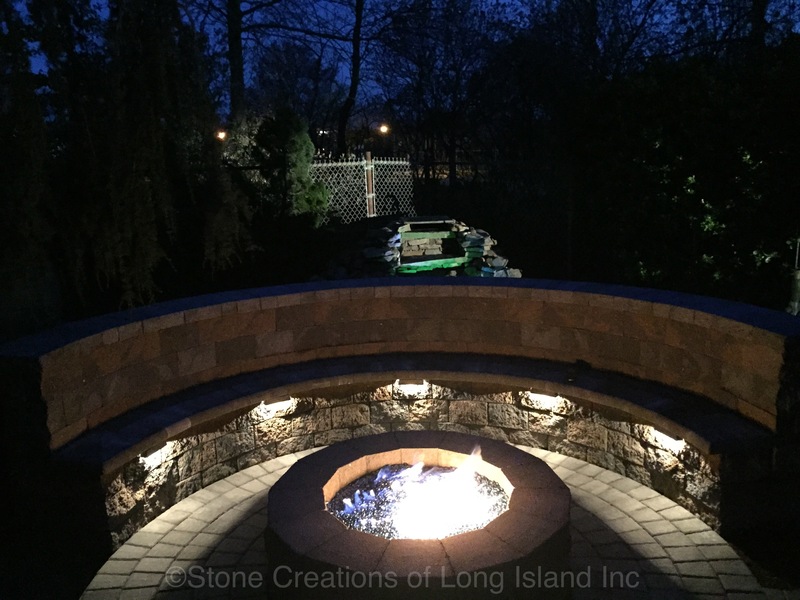 Fire pit shapes can be square, round, or custom. Call for a free estimate for your masonry and fire project so we can help you visualize your properties potential. Don’t forget about our other services offered which include patios, outdoor kitchens, poolscapes, stoops, retaining walls, driveways, veneers and more.